Nostalgia is a tricky thing. Revisiting the past doesn’t always guarantee success, despite what Hollywood would have us believe. Concepts sometimes have a natural shelf-life and are often best left untouched. It’s not that black and white when it comes to this first big screen version of Absolutely Fabulous (and I say first because a sequel has already been strongly suggested). Very much a product of its time, Ab Fab was a great slice of nineties fun that revelled in its own absurdity. 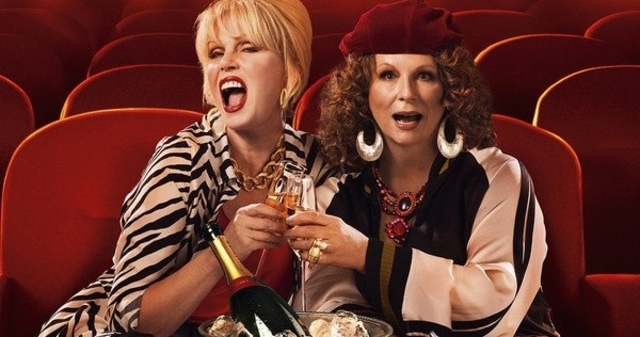 It’s been a long time since Patsy and Eddy have graced our screens and for the most part, they bring this magical chemistry back onscreen in Absolutely Fabulous: The Movie. But the film has a lot of issues – most noticeably a lack of genuine laughs. There are parts of the movie that are quite entertaining – the plot sees to this. After a faux-pas that leads to the untimely death of supermodel Katie Moss, Patsy Stone (Joanna Lumley) and Edina Monsoon (Jennifer Saunders) must flee the country to maintain their carefree lifestyle (and a murder rap). So far, so absurdly good. Saunders, who has also penned this story, has crafted lots of great situations to put Patsy and Eddy into and for all intents and purposes, this story is strong enough to deliver some great laughs. But it doesn’t do anything with it and instead creates a lazy film that rests on its laurels. The movie is far too concerned with cramming in celebrity cameos. There are a lot of them in this, mainly coming from the worlds of fashion, film and music. It seems to be content with just having them there rather than utilising them to good effect. Only Stella McCartney and Emma Bunton really provide anything of note to the story, the rest are just expensive dressing. Jane Horrocks’ Bubble (despite looking fabulous) isn’t onscreen enough and Julia Sawalha’s Saffron is a tired cliché that literally offers nothing to the film. The whole point of her and Eddy constantly bickering was their distinctly different personalities clashing. The series managed to find the comedy in that relationship but the movie doesn’t. It renders her character very annoying without any comedic payoff. It’s not all doom and gloom though, Lumley and Saunders effortlessly recreate their magic, and given a better script, could still perfectly shine as Patsy and Eddy. They have managed to stay relevant and entertaining throughout and they channel everything that works well in the movie. The overall story is also good – making PR the centrepiece once again but questioning its relevancy in today’s market was a masterstroke. The story straddles the past and the present well, especially when it focuses on the youth of today. Barry Humphries (aka Dame Edna) steals his scenes too as one of Patsy’s rich admirers from the past who may hold a key to their future. 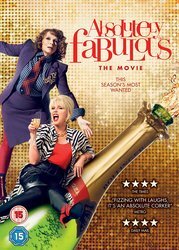 So Absolutely Fabulous: The Movie comes in as a good concept poorly executed. With so much opportunity to deliver belly laughs, there’s a distinct lack of them. Once you get over the nostalgia factor, you realise that the film is more amusing than funny, and most of the comedy stems from jogging recollections of the past rather than what you are actually watching onscreen. They got the hard part right – it was a decent story. They just forgot to inject it with any laugh-out-loud comedy, allowing the fluff like the celebrity cameos to do the heavy lifting instead. 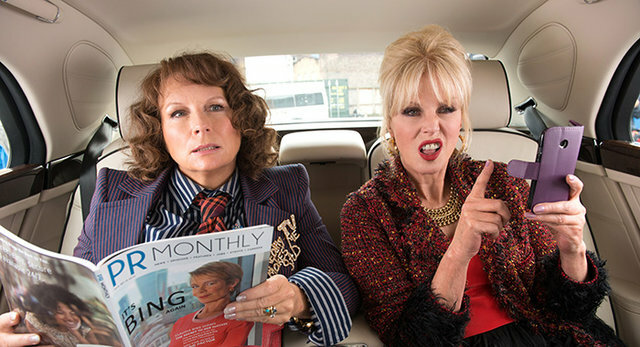 Ab Fab fans will still love the ride regardless, and in these troubling times it comes as a welcome break to spend 90mins in the company of Patsy and Eddy. But when you see its potential laid out so clearly, it makes the end product that much more deflating.